Q. Who is Jorge? Why is there a goose on so much LITS stuff? Jorge is the LITS mascot. 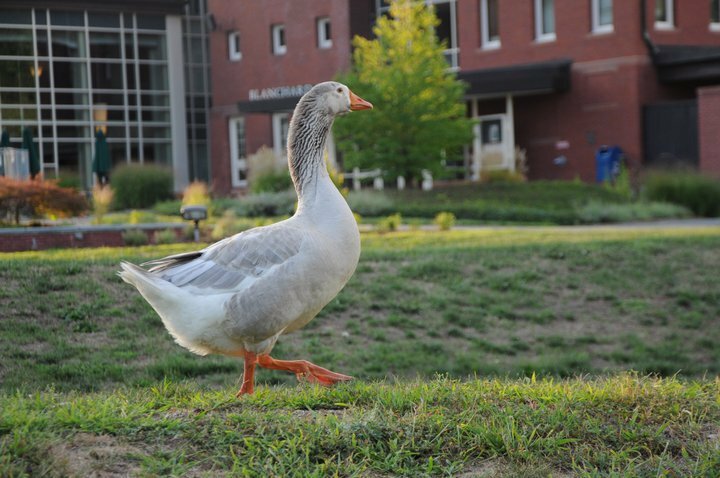 He is an actual goose that lives on campus, and we've adopted his likeness to help us get the word out about LITS events and resources . You'll see him on posters and the LITS website, and occasionally in lifesize cardboard form. You can often find the real Jorge in the lake near Prospect hanging out with his Canadian goose or duck buddies. Wave at him from, afar, though. He likes his personal space!